Athletics, is also called track and field. Nowadays, this is very popular match and sports in every countries. Meanwhile, great Olympic Games for global heydays will be held every four years. A lot of excellent players from each countries such as Europe, Asia, Africa and Middle-East, Southeast Asia, America and so on, will join in this grand competition and match. About athletics history, perhaps seldom people will know it, hereby let us understand origin of Athletics and modern history of athletics. At the earlier of primitive times, the most of primitive humans for livelihood and adapting to natural environment, had to learn run, jump kinds of barriers, throwing stones and using various tools so that they could fight with the beast of prey and gain enough foods. After that, these actions such as running, jumping, walking and throwing already had been repeated during labor. Gradually, human have change these actions into form of match and practise. In 1894, a modern Olympic organization was established in Paris, France. In 1896, the first modern Olympic Games were held in Greece, in which walking, running, jumping, throwing and other events of athletics (track and field) were listed as the main competitions of the Olympic Games. In 1928, the ninth Olympic Games in Amsterdam, Netherlands, for the first time women’s track and field competitions has been added, at that time only 95 women athletes participated in the competition. In 1964, the smallest unit of automatic electronic timing reached 0.1 seconds. In 1968, American Jim Hines became the first athlete to run 100 meters in 10 seconds. In 1983, the first World Athletics Championships were held in Helsinki, capital of Finland. Canadian sprinter Benjamin Sinclair Johnson won first place in the men’s 100-meter final at the Seoul Olympics in 1988, but failed a doping test. The four year Olympic Games are the driving force for improving athletics (track and field) achievements and enhancing training methods. 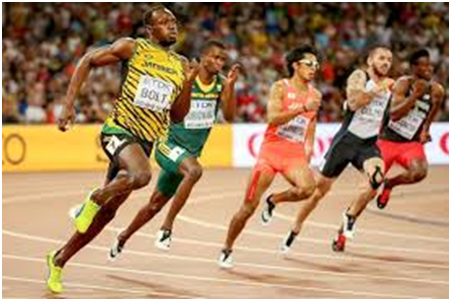 Many excellent athletes in athletics (track and field) have been trained hard, their advanced techniques and training methods have been popularized throughout the world through the Olympic Games. 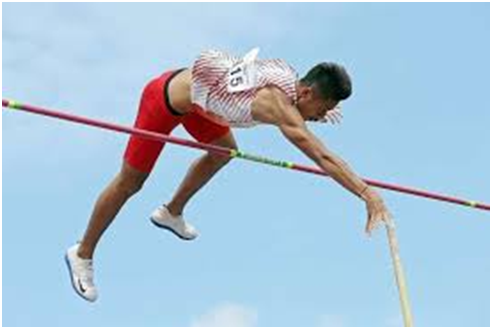 In Mexico of 1968, after American athlete Richard Fosbury won the championship with the back jump, as replaced the horizontal jump and the forward jump. In short 2 or 3 years, worldwide all use this kind of method of jump to improve players’ performances.